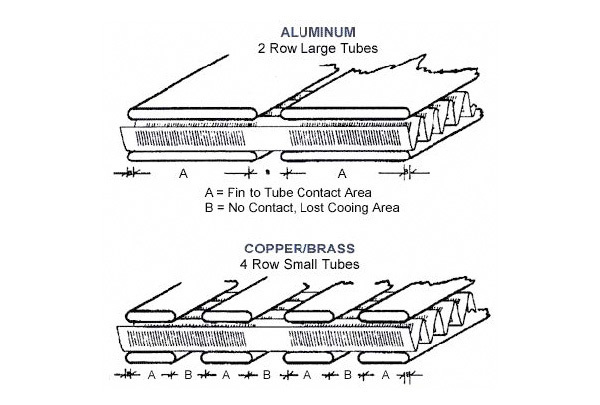 Brazing aluminium to copper is common in the refrigeration industry where copper tubes are brazed to aluminium roll-bond panels or tubes. 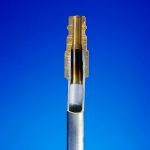 To join aluminium and copper using brazing technology and standard NOCOLOK® Flux, flame brazing would be applicable (as well as using a low-melting flux with a low-melting filler metal). It is very similar to brazing aluminium to aluminium, but some precautions are necessary. However, when copper is brazed to aluminium and the heating process takes too long, the copper will diffuse into the aluminium at the joints. 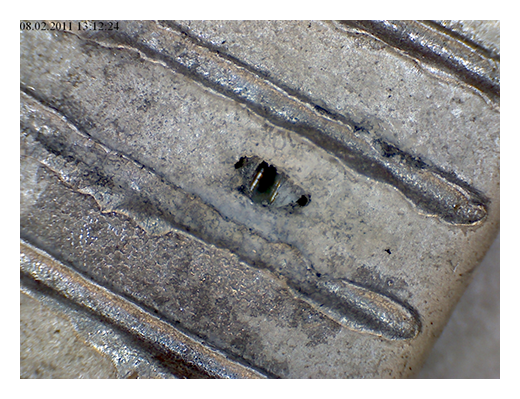 A low melting Al-Cu alloy (Al-Cu33 eutectic temperature 548°C) is thus formatted, and this could lead to erosion by perforation. 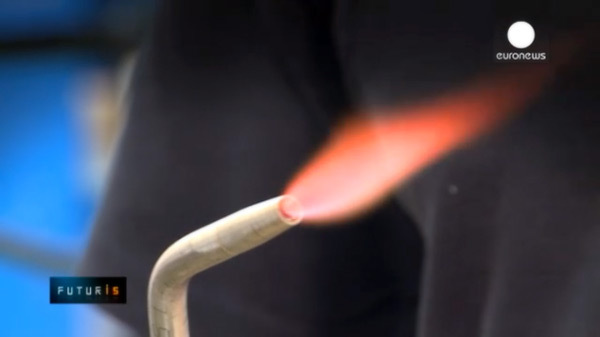 Therefore, during the brazing process, the flame should never be directly applied to the joint, because the heat should be transferred by conduction through the parts to be brazed. As soon as the filler metal begins to melt, the flame must be quickly removed. A second issue with brazing copper to aluminium is that the aluminium has a much lower melting point than copper (Al: app. 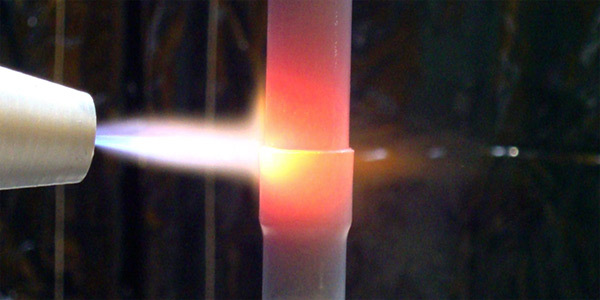 650°C; and Cu: above 1000°C). Therefore, the flame is usually directed on the copper. Nevertheless, once the heat transferred from the copper to the aluminium reaches the melting range of aluminium, it will start to burn down very fast, while the copper is still taking the heat. The formation of the above mentioned low melting Al-Cu alloy accelerates the destruction of the aluminium components. Consequently, flame Brazing of aluminium to copper is a delicate process and requires some experience. But it is used by many companies for large scale production. But it is next to impossible in furnace brazing. There are no conventional furnace designs which will cool quickly enough to halt the continual formation of the aluminium-copper eutectic. For this reason, brazing copper to aluminium in a furnace is not practiced. There are three different ways to provide (or generate) filler metal in flame brazing of aluminium to copper. Use of Al-Si filler alloy (Al-Si 12 – AA4047). Standard procedure like in flame brazing of aluminium to aluminium – just a little bit faster to avoid burn-through. Rely on the formation of Al-Cu alloy during the brazing cycle. 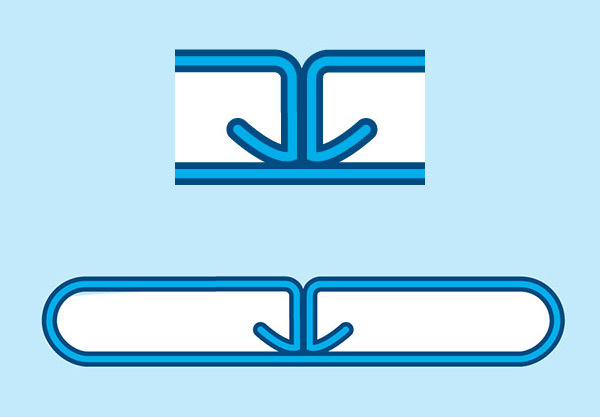 If this method is used, a support provided by a thin Stainless Steel tube along the interior joint area can provide additional structural integrity. A pre-heated copper tube is inserted very fast into an aluminium tube. The mechanical energy released will generate additional heat. Abrasion of surface oxide by the inserted tube promotes the formation of Al-Cu filler alloy. This process works with and without flux (however, results are better with flux).